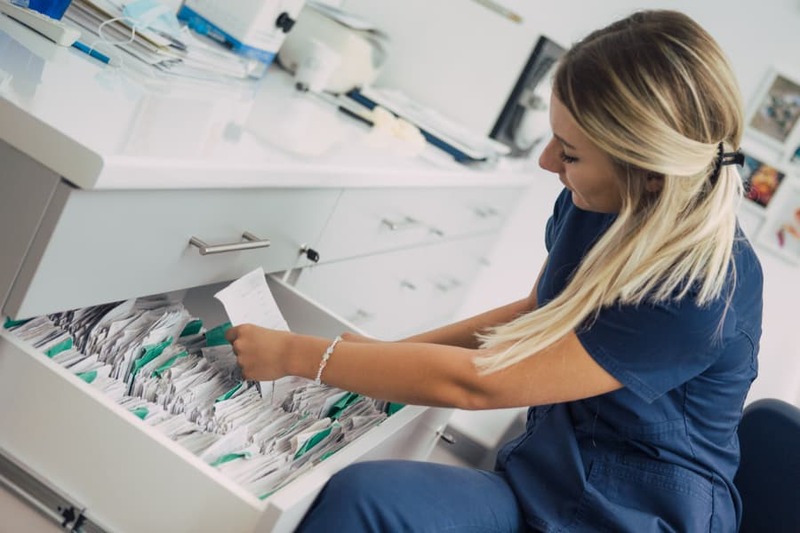 As an aspiring administrative medical assistant, recordkeeping will likely take up the majority of your time while on the job. But what exactly are medical records, and just how important is recordkeeping in the grand scheme of healthcare? Prism Career Institute explains below. In the past, most medical records were kept in physical files and stored in file cabinets. Today, most medical records are digital, allowing them to be stored in electronic databases for easy access. Medical histories are incredibly important in regards to a patient’s medical treatment. They let physicians track therapies, monitor the effectiveness of treatments, make predictions and much more to improve patient outcomes. Keeping comprehensive medical records also helps increase oversight and lower liability. In addition, thorough recordkeeping helps bridge the divide between primary care physicians and other specialists. When symptoms, diagnoses and treatments are properly recorded, subsequent providers will have the information they need to provide the best care to patients. Always date and sign your notes, adding amendments as necessary. Document all discussions, distributed information, relevant history, results, consent, referrals and other vital details. Only include notes relevant to the health record. Maintain an organized medical management system. Ensure the clarity and precision of all communications. If you’ve always dreamed of becoming an administrative medical assistant, what are you waiting for? Pursue a career in the medical assisting field with help from Prism Career Institute. Our Medical Assistant Program provides the career-focused training needed to enter the healthcare field. Call 1-888-966-8146 to get started.